The RX-750 is a well built, solid rower with a comfortable rowing position, smooth action and well-designed ergonomic seat. It looks great and will suit those with limited space (it folds up into a small footprint - see dimensions below) and the beginner to intermediate rower. However, if you've used either a Concept2 or LifeCore rower at the gym, this will be a let down. Of course it's around half the price, and for that you will get a reasonable machine, but if you're serious about using a rowing machine to get fit, this model has its limitations. The molded seat is not the most comfortable we've tried, but should be okay for most if rowing up to 30 minutes. Any longer, and you may find you start to get a little sore. The foot pads may be a big snug if you have big or wide feet, but once in place we found the straps held them securely and have had no problems with slippage - a real cause of annoyance for rowers as you have to stop and re-attach the straps before you can continue. You can certainly get a good workout with the ProRower, but if you need the motivation of built-in programs and progress reports you won't get it with the basic console - see below. The monitor is has a lot in common with the monitor on the Neptune rower in that it's a big disappointment. 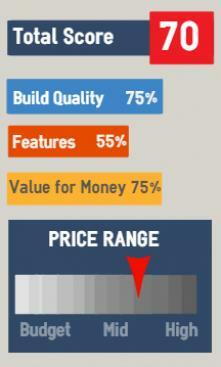 The LCD screen is large and easy to read but it's the data that we have an issue with. Yes, it does have a built-in heart rate monitor that's compatible with a Polar chest strap (not supplied) but we questioned the accuracy on our model. We compared the reading on the display with another heart rate monitor we know to be accurate and found it was higher. This may not seem to be a huge problem in itself, but if it's displaying an artificially low reading you may over-train and not be able to stay in your optimum heart rate zone for long enough to get the full benefit.. For a machine costing over $600 you would hope for something that is accurate. It displays the usual workout data such as time, distance and split times, but we also think the stroke rate is inaccurate. 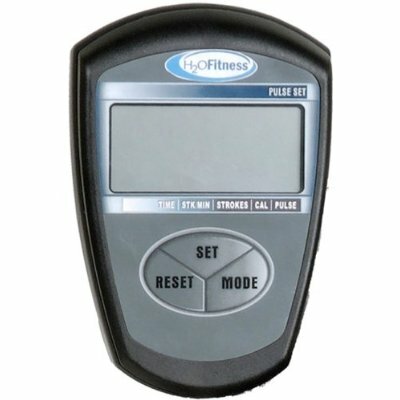 There are no functions such as a race boat, or the ability to store your workout data. This isn't a problem if you just want to row to get into shape, but if you're serious rower or need targets to motivate you, then this is a problem. 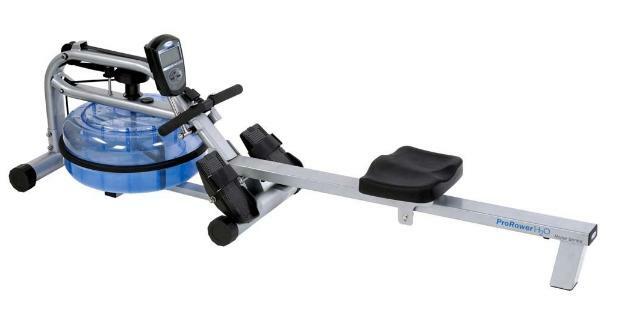 The Prorower is an attractive, well-built rower that is, on the whole, good value for money and a good choice if you're a casual to intermediate rower. But if you intend to row for the years to come, or are already a regular or serious rower, you'll be better off spending extra on the models we mention in the 'also worth a look' section below. Folds into small footprint for storage. 78" x 22" x 20"
If you're specifically looking for a water resistance rowing machine, then the obvious alternatives are the Neptune Fluid rower and the Waterrower A1 Home, although they cost a few hundred dollars more. For another $400, the Waterrower Natural is a beautifully made machine and a great choice. Or for a few hundred bucks less, the Wave from Stamina is a good alternative.